It’s time to bring back the optimism! The Sun and Moon are conjunct in the sign of the fiery archer, symbolizing the end of one cycle and the beginning of a new one. As always, the New Moon is an excellent time to plant your seeds for the future, and with today’s bold and courageous New Moon in 15 degrees (the peak of the sign) Sagittarius, all possibilities are on the table! 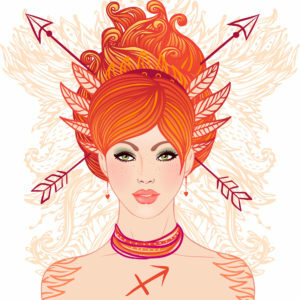 Sagittarius is a sign that burns bright with an unquenchable thirst for life. 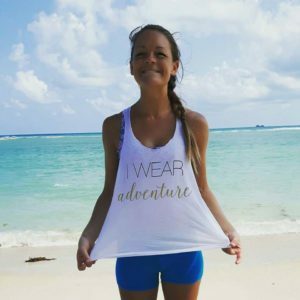 Her optimism is contagious as she encourages us to connect with our more playful, open and adventurous side, urging us to truly embrace the joy of the moment. With her bow and arrow, she encourages you to aim you arrow high, embrace your potential and shoot for the stars. 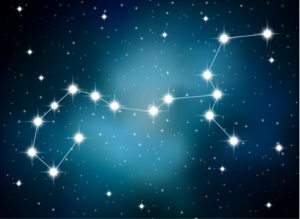 Ruled by expansive and lucky Jupiter – currently transiting his home sign (woop!) – if you feel like dreaming big, it’s the season! Have faith that you can reach your goals, and trust that nothing is impossible if you’ve got enough nerve. Let go of anything or anyone that is a distraction and keep your eyes on the goal! Sagittarius is a also a highly visionary sign, so why not get creative and create a vision board of your dream future? You’ve got this one life; how do you want to spend it? Dive in, learn to trust your instincts, then go out and make it as bright and colorful as you can! There will always be those who prefer to live life differently than you, but if you listen to your heart and follow its path, you cannot go wrong. Your life is a blank canvas; make it your masterpiece. Place your energy where you can expand and grow and quit everything that dims your inner fire. Never lose your curiosity and sense of wonder. Never stop learning. Be creative, be bold, be expansive and most of all be you. On November 22nd/23rd (depending on where you are in the world) the Full Moon in airy, chatty Gemini will oppose the sun in fiery, playful Sagittarius and we’ll have 2018’s one and only Gemini Full Moon. The twins are known to be social, chatty butterflies and together with the adventurous, happy-go-lucky, archer, the Full Moon in Gemini is often one to lighten the mood. As an air sign ruled by messenger Mercury, Gemini knows how to express herself, and under this Full Moon the Universe now demands clear and honest communication. However hard it can be at times, expressing our heartfelt truth leaves us feeling a lot more grounded and at peace, than trying to keep up with those little white lies we tell to protect ourselves. The truth may make you feel vulnerable, but if you can stay true to yourself and communicate your heart, you will soon notice how telling the heartfelt truth makes your soul expand ♡. Trust that this is a time to let the world know how you feel. There are some reefs in the sea though. With the recently mentioned communication planet, Mercury, in retrograde as we speak, even if we want to tell the truth, clear communication of your feelings may seem close to impossible. Chances are that you will misinterpret information and/or not perceive things correctly, and the same goes for those around you. The chances of misunderstandings are high, so make an effort to be really clear and articulate when it comes to all forms of communication – written or spoken. Gemini as well as Sagittarius are known for their outgoing energy, but with Mercury retrograde for pretty much the whole two weeks of this waning moon phase, making the coming weeks a time to slow down rather than bursting forward is the key. Mercury retrograde always slow things down considerably, which may make you feel a bit stuck and stagnant but see if you can allow this slower energy to work for you, rather than against you. And yes, it may be the holiday season, but the Full Moon/Retrograde period is nevertheless a time – and opportunity(!) – for stillness and reflection, quite suitable for the darkest time of the year. Take time to carve out some space in your busy pre-Christmas schedule to simply slow down for one night. Light some incense, journal, meditate, do yoga, and pay some extra attention to your throat chakra – the chakra of communication. On a more positive note, with the sun now in conjunction with one of the heavens beneficiaries, expansive Jupiter, Mercury retrograde or not, this actually makes for one of the most positive Full Moons of the year. Especially since both the Sun and Jupiter just recently moved out of the deep dark waters of Scorpio and into the energy of the more lighthearted, optimistic and playful Sagittarius. This very welcoming shift in energy will help us to open up and expand our mind, heart and soul to new and unknown possibilities, and providing us with just the right amount of faith to navigate the trickier planetary juju. Also, as we start to wrap up the year, think of the Full Moon as a good time to stop and do some personal inventory. How has this year been for you? 2018 has been a year with lots of change going on, and this Full Moon is in many ways the final dot to that energy. And however wonderful changes can be – especially if we’ve been in the rut – the truth is that a change also requires an ending of something else – a little death so to speak – which may have made 2018 a challenging year for many of us. The process between the old and the new is challenging to say the least and may have resulted in huge life changes for some of you. But whatever has happened these past 11 months, big or small, now is the time to congratulate yourself. You’ve soon made it through another year! 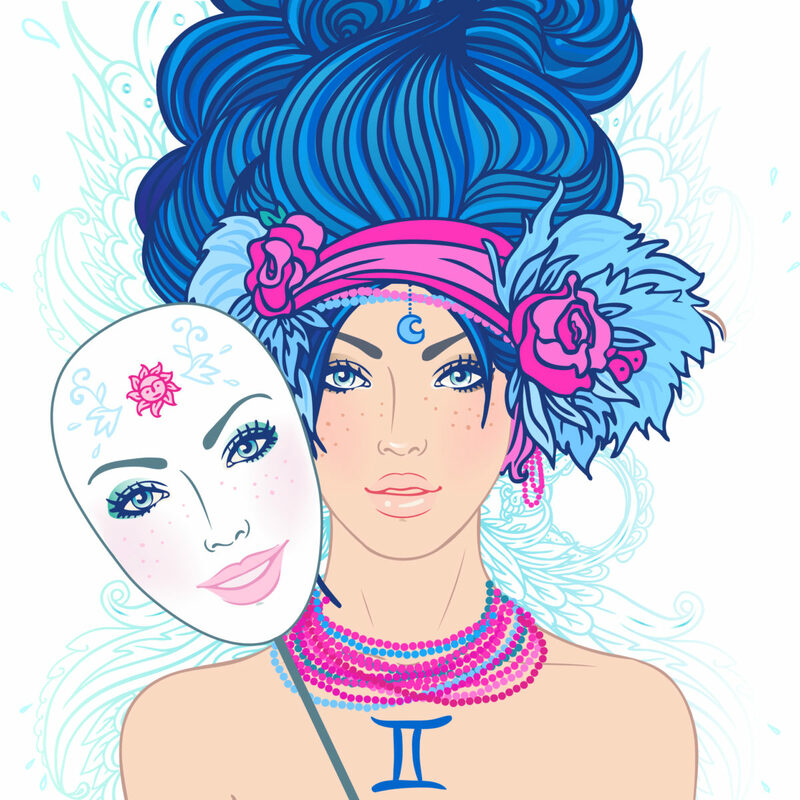 Let this Full Moon in Gemini be an opportunity to celebrate just how far you have come. Remember where you started. And even though 2018 may not have brought you everything you wanted, trust that it brought you what you needed. Have faith in the bigger picture. Trust that you always get the lessons you need for you to learn and grow. Remember that your life is a sacred journey, and that all we can do at all times is to live the best we can with the opportunities we get. So, whatever comes up for you around this time, remember that things always arise for you to be healed. You need to feel it to heal it as they say ♡ The time of the Full Moon is great for releasing, so take this time as an opportunity to get closure and to let go of what no longer serves you once and for all, then open up your heart for a new chapter to begin. As the energy of 2018 is slowly fading, accept, surrender, release and move on. It’s time to make room for the year to come. And as things are about to get a lot more lighthearted as this year comes to an end; trust that you alone hold the keys to your happiness. Happy Full Moon in Gemini lovelies! As the sun and moon dance together in their annual meetup in the deep, dark waters of emotionally intense Scorpio, it is time for us to once more embrace the new moon energies of this passionate water sign. The moon is, as always, all about our inner world; how we feel and what we need, and the Scorpio new moon is no exception. 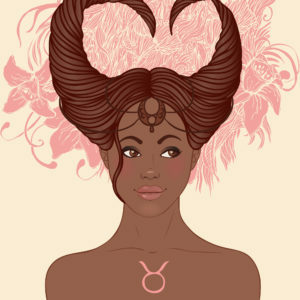 No, Scorpio throws us into a pool of vulnerability, she revels in mystery and magic, and with her highly introspective qualities she is now ready to take us on a passionate and intimate date with our own Self. The seductress of the zodiac is all about deep soul searching and reaching higher levels of consciousness, meaning whatever comes up for you around this time it is not likely superficial. In fact, Scorpio just doesn’t do easy breezy – Scorpio does deep, dark and intense. Scorpio wants to devour you, so get ready to get real intimate and peel back all the layers of your soul. Thus, after a more stable and grounded Taurus full moon two weeks back, the Scorpio new moon may feel strangely emotional and fluid, but don’t let the intensity scare you. Still water runs deep as they say, and Scorpio is here to take you down to the deeper, darker, and more intuitive waters of your own psyche. Depending on your current level of self-intimacy you may find entering on a date with this part of your Self quite overwhelming and challenging. It is in this dept we house our deepest fears and longings – the ones we haven’t even told ourselves – and naturally many people have their focus on suppressing, rather than befriending this part of themselves, simply to manage to cope with society’s standards and expectations. This suppression to avoid unpleasant feelings (such as shame, guilt and suffering) will, however, in turn result in a lot of time and energy spent pushing down emotions and unwanted feelings, leaving you completely depleted, and usually without any clue as to why you feel so exhausted and drained. You just know that you don’t feel well. Because the truth is that by blocking out you are also blocking light and good energy from entering inn. And besides the fact that blocking and controlling emotions takes a lot of energy, you are also hindering yourself from entering that well of inspiration and creativity, the place where you can find your true passion. In other words, you need to face your demons to get to your light, and sad but true, there are no shortcuts. Remember that our journey cannot start until we take the first step on the path that leads where we want to go. So, if you have been waiting for a sign; this is it. The darkness of this new moon is for you and you only. To breathe, to pause and to reconnect with who you are. It is for you to celebrate your uniqueness, and for you to begin to love and accept yourself in your beautiful imperfection. Don’t be afraid to look inside, and don’t forget to be patient with yourself as you explore. The womb of Scorpio is an excellent place to restore and heal and to learn to gently let go of that which is no longer meant for us. The rawness in Scorpio’s energy is here to teach us how to better sit with, and understand, pain and grief, and to accept loss and what is gone. And, overwhelming as it may feel as your inner process ebbs and flows, trust that after the energy of this full moon softens, you will have more clarity and feel a greater sense of understanding of the path ahead. So, for now; just breathe, let go, & simply surrender to the healing powers of this magical Scorpio moon. It is time to create that home in your heart that is just for you. With the sun transiting the deep waters of Scorpio, November’s Full Moon on October 24th in earthy Taurus will bring some much-needed grounding into our life. 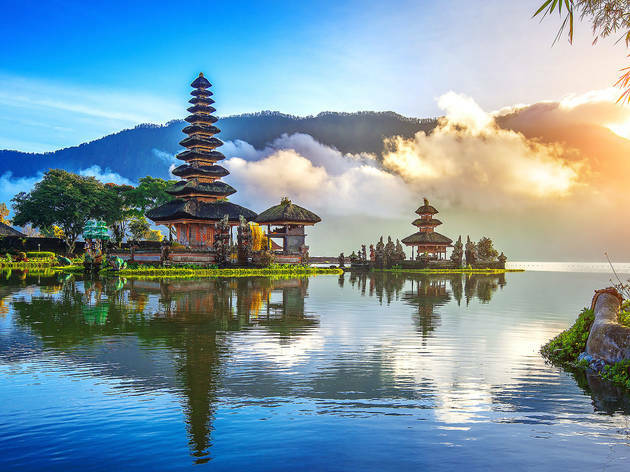 Passionate Scorpio tends to make emotions running high, so let this Full Moon be a sanctuary, where you can take a well-deserved break from this intense water sign’s complexity and find roots and stability through loving Taurus instead. Taurus, loves to stay at home and treat herself, and the earth energies of this Full Moon encourages you to slow down, and take some well-deserved me time. Tune in and see if you can draw in the strong healing energy of this Full Moon. Connect with your breath, slow down your heart beat and let yourself drop out of your head and down into your body. And – as often happens when we let ourselves slow down – if uncomfortable emotions start to arise in the stillness of the Moon; simply sit with it. Rooted Taurus may not want to budge from it’s comfortable nest, but with Taurus’ ruler, Venus, retrograde and transiting in transformative Scorpio – the sign of death and rebirth – as we speak, the energies surrounding us is inevitably pushing for our growth and change, and for us to move out of our comfort zone, dive deep, and take a good look at everything we’ve swept under the carpet. See if you can relinquish control and simply surrender to the moment. Come home to yourself in your physical body and connect with the Divine in you. Trust that you are on your path, right where you are meant to be. Be aware though, as Venus rules love, beauty and money, issues connected to these sensitive themes may surface as you start to dig in. But why not then, allow yourself to draw on the depth of Taurus’ opposite; transformative Scorpio, and let yourself see everything that comes up for what it truly is. Remember that insecurities in these areas more often than not are connected to our own lack of self-worth and not feeling worthy of such abundance, than bad luck. Recognize all the fears and beliefs that are holding you back from reaching your true potential. Journal, breathe, and remind yourself that you are already good enough. You are already worthy of your dreams. We all are! So, what are you dreaming of? What changes can you make for your life to truly feel good? What choices can you make that will draw in more happiness and love? Be open. Be brave. It’s your life, your dreams, your passion. The abundant energy of the Taurus Moon is here to deliver it all to you if you are brave enough to reach for it. Do keep in mind though, that true happiness comes from within, so start from the inside, not with what may look good on the outside. Last but not least, take some time to release and let go. As always, Full Moons are the perfect time of endings, so use the energies of the Full Moon to release all that which no longer serves you and blocks you from finding true happiness. Draw in Taurus’ earthly magic and truly ground yourself. Enhance your feelings of love and self-worth and make a sacred promise to yourself to only go with those choices that are nourishing and rewarding for your body, mind AND soul. It’s time to open your ♡ and truly believe that you are worthy of all the abundance of the Universe. Join the Magic Next Summer – ONE SPOT LEFT! Join Tonje & Kate on a healing journey through yoga, meditation, song, dance and celebration. Through our time together we will explore asana, breath, mantra, self care, movement and rest. It will be an intimate experience, as we have room only for 12 special souls to join us on this journey. NB! ONLY 1 SPOT LEFT! Read more about the retreat here! Wanderess, yogini, shaman, healer, astro + spirit junkie. Yoga teacher & co-founder of Leela Yoga, Oslo. L♡VE sun, sand, sea, yoga, surf, travel, books, art, writing & music. Want to know more? Read my full bio!